The hunt is on for hidden Bitcoin wallets around the city of San Francisco, as the hidden cash craze has now spread to digital currency. A twitter user with the handle SF Hidden Bitcoin is creating paper wallets worth 0.033333 BTC (about $20.50 at time of writing) and hiding them in secret locations around the city. A new crypto-treasure is promised for each day of July, and the twitter feed provides clues about where to find them. The hidden cash craze started in May when 43-year-old millionaire Jason Buzi began hiding cash around San Francisco and giving out clues on the Hidden Cash twitter feed. National media picked up on the story after Buzi staged a hugely successful hunt on a Los Angeles beach, hiding wads of cash inside plastic Angry Birds toys and burying them in the sand. Buzi then spread the money hunt to other locations around California and even across the world to London. Clearly inspired by this fun style of philanthropy, an anonymous Bitcoiner has taken up the mantle of providing free cryptocurrency to anyone willing to search for it in the City by the Bay. 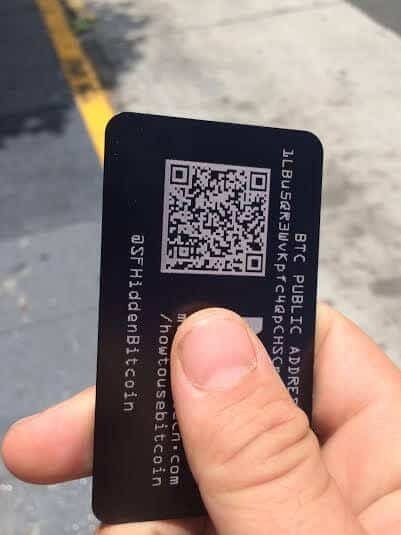 The paper wallets are actually black aluminum cards, with a Bitcoin address and corresponding private key that can be imported into the lucky recipient’s wallet. There’s a new prize for each day of July, and so far all of them have been found. 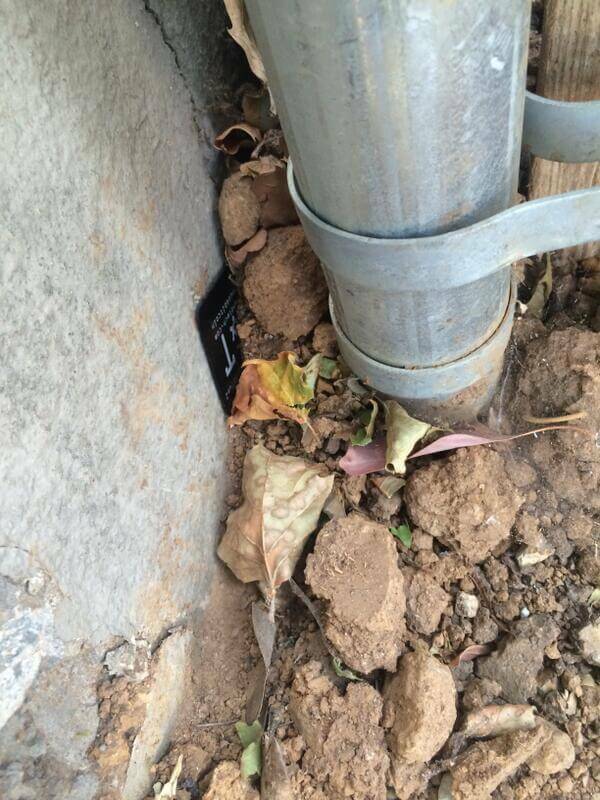 SF Hidden Bitcoin places aluminum wallets in random places around San Francisco. Hiding Bitcoin instead of dollars provides a few interesting twists on the original idea that was pioneered by Jason Buzi. First of all, it’s easy to track when the prize is claimed because the unique Bitcoin address can be monitored on the blockchain. Indeed, the operator of SF Hidden Bitcoin is able to watch the addresses of the hidden prizes and find out when they’re emptied. The twitter account can then announce that the prize was claimed. This stands in stark contrast to the original Hidden Cash, in which it’s difficult for the operator to check whether a particular prize was claimed. Jason Buzi must rely on the lucky winners to tweet him with a picture of their prize, or go back to the hiding location and check for himself. Unlike Bitcoin, cash doesn’t have a transaction ledger. Another twist is that the operator of SF Hidden Bitcoin probably keeps a copy of each wallet’s private key, enabling him to retract the funds remotely if nobody can find that particular hiding spot. On the flip side, this also means that anyone who discovers a hidden Bitcoin wallet should transfer the money to their own address as soon as possible. This interesting dynamic is a result of the fact that anyone with the private key can access the Bitcoins, and the originator of the address likely still has a copy. 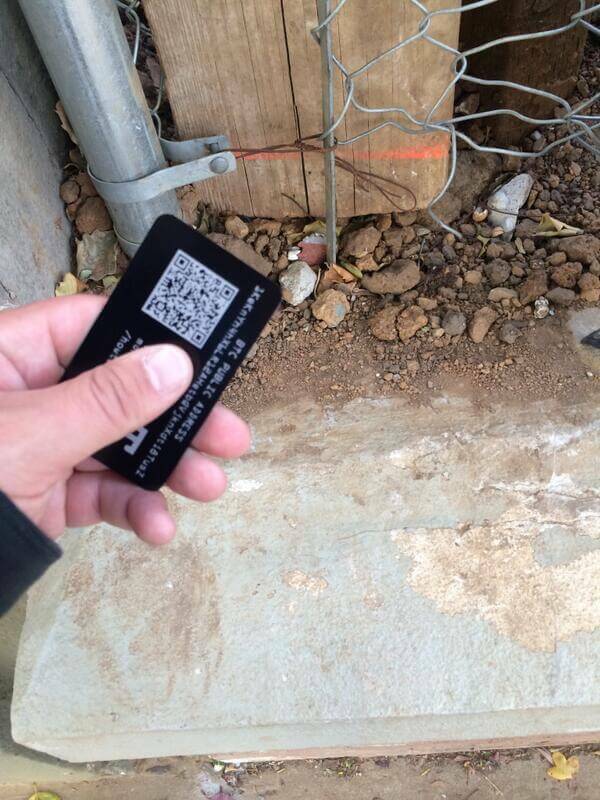 Once the wallet is hidden, the SF Hidden Bitcoin twitter account provides clues about its location. Regardless of the technical differences between these approaches, both are examples of a fascinating trend that has evolved out of social media. Wealthy individuals with a philanthropic mindset can not only give away chunks of money, but also use tools like Twitter to broadcast clues to a dedicated following. The original Hidden Cash twitter account has gained nearly 700,000 followers in a few short months, indicating strong support for such an experiment. It’s no secret that some people have made a lot of money investing in Bitcoin, which rose sharply in value last year and made some early adopters quite wealthy. Some of the early beneficiaries of the rise in Bitcoin price put their profits into a new car or apartment, while others paid off an outstanding loan or mortgage. Now with the rise of social media and the hidden cash craze, wealthy Bitcoiners have a new way to spread their wealth in interesting ways. Admittedly, SF Hidden Bitcoin is packing the wallets with just $20 worth of digital currency each — a paltry amount compared to the multiple twenty- and fifty-dollar-bills that are often included in the original Hidden Cash giveaway. In addition, SF Hidden Bitcoin is only operating during the month of July, with just one Bitcoin wallet drop per day. That puts the month’s total output of SF Hidden Bitcoin at around 1.033333 BTC — or $640 — assuming the operator keeps the prizes at a flat rate. Again, this pales in comparison to the original Hidden Cash which has given away tens of thousands of dollars already. Each aluminum wallet has the public key, private key (hidden here) and instructions on how to use Bitcoin. Despite the relatively small amounts being given away, SF Hidden Bitcoin is doing good work by spreading free cryptocurrency in a novel and fun manner. While it’s probably not worth it for anyone outside of San Francisco to travel to the city just to search for $20 in Bitcoin, it does provide a fun treasure hunt for Bitcoiners already in the city who are looking for a challenge. Thanks to the generosity of this anonymous philanthropist, this challenge can result in digital treasure for the lucky seekers who discover it. Perhaps such a treasure hunt will go a long way toward spreading adoption of Bitcoin, or maybe it will just serve to pad the coffers of people who are already fans of the digital currency. Either way, SF Hidden Bitcoin is doing a fantastic public service and making a fun game out of it, too. If other wealthy Bitcoiners follow suit in other cities, we might just enter an age where Bitcoin treasure hunts are even more commonplace than cash hunts. Edit July 9th: An earlier version of this article stated that the Bitcoin wallets were made of plastic, when in fact they are made of aluminum.